St.Andrews Coach Houses offer luxury self catered holiday homes, one with its own private hot tub, in a unique countryside location but only a five minute drive from St. Andrews. 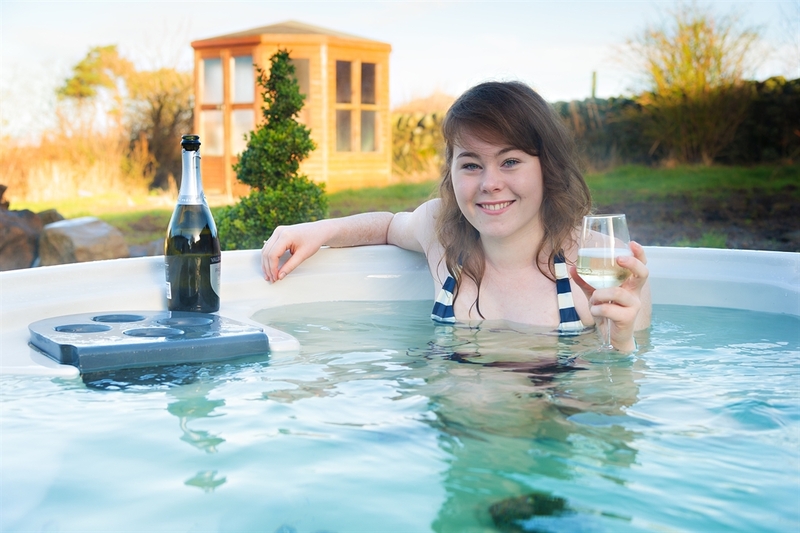 St. Andrews Coach Houses are a Trip Advisor favourite comprising three luxury self catering holiday cottages (each sleeps 4) and a luxury lodge with its own private hot tub (sleeps 6) all situated in a stunning countryside location but only a five minute drive from St. Andrews. Want to get away as a group on holiday or for a wedding party but still want the privacy of your own accommodation then this is ideal as we can accommodate up to 18/19 guests on site. 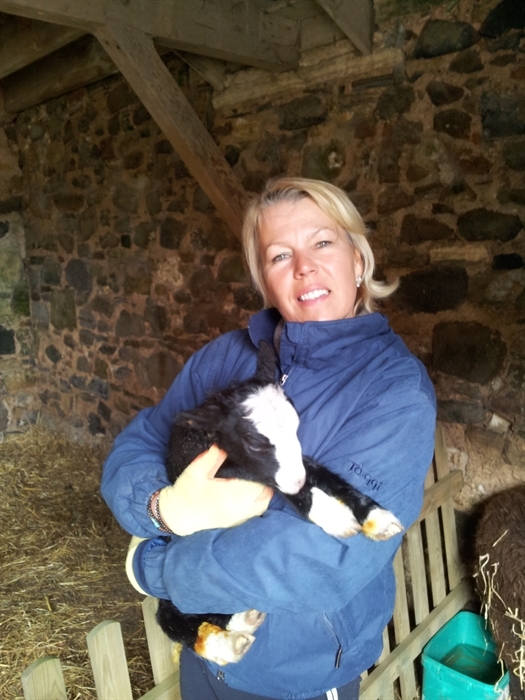 We also have an onsite activity barn which will keep the children entertained for hours! 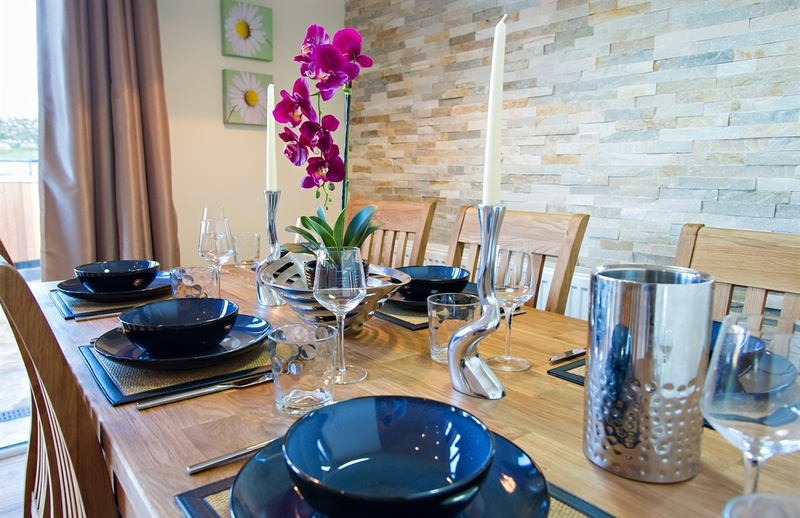 New to the Coach Houses is the fully refurbished Priory Lodge (which sleeps six) providing luxury accommodation with a focus on contemporary style and design.With a cosy wood burning stove and large outdoor hot tub it is such a relaxing place to be. With a combination of classically elegant and contemporary interiors, the Coach Houses offer luxurious facilities and a warm welcome in the finest traditions of Scottish hospitality. The Coach Houses have been designed with your comfort as our priority with super comfy beds, Egyptian cotton linen, fluffy towels and leather sofas you can really relax in while the contemporary bath and shower rooms feature power showers to help ease away any tired muscles.Situated at the edge of our working farm you get the unique opportunity to get up close to our sheep which all our guests’ children love. We are delighted to be one of the few businesses to have been presented with a Hall of Fame Certificate from Trip Advisor for 2015 in recognition of the fact that we have received a five star certificate of excellence for the years 2011, 2012, 2013, 2014 and 2015 from Trip Advisor. This is given to only the most exceptional performers in Trip Advisors global business. 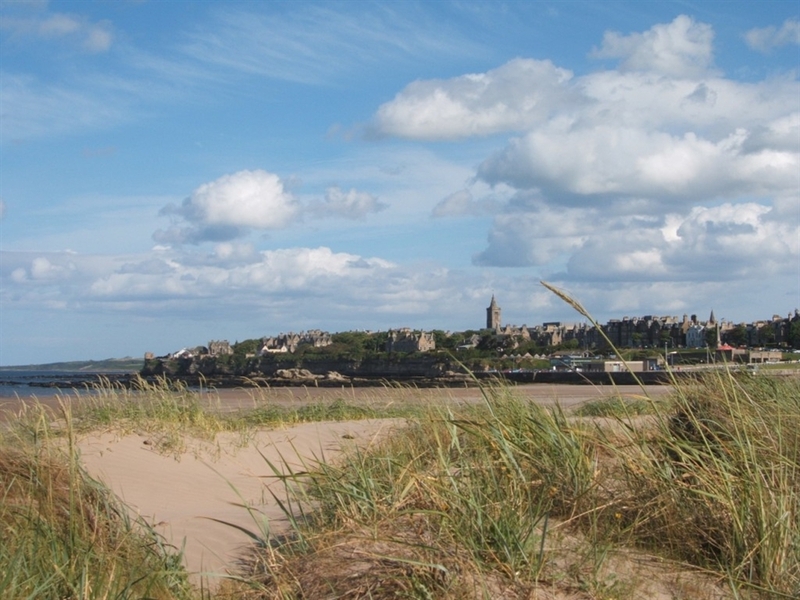 The Coach Houses have such a tranquil setting yet within a short drive you are in St. Andrews where you will find the Championship Golf Courses, superb beaches, the historic St. Andrews University, the Castle, Cathedral and so much more. The charming streets of this medieval town and ancient architecture make the town unforgettable and no visit is complete without a stroll along The West Sands. 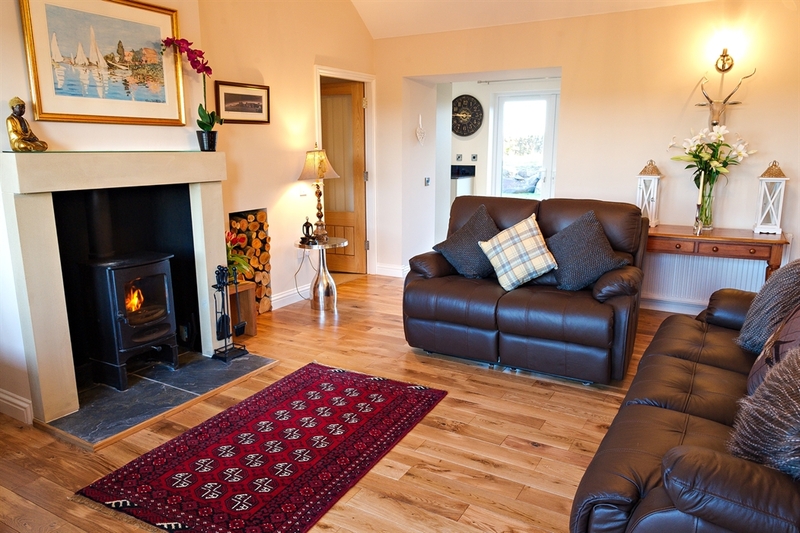 The Coach Houses also form an excellent base for visiting the unique Fife coastal fishing villages or to enjoy some wonderful walking or cycling locally. 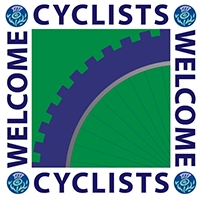 Edinburgh and Glasgow are also easily accessible by train or car. M and S Simply Food. Not because we say they are but because our guests do! Currently we are number one in our category on Trip Advisor, check out our reviews on our website. We took inspiration for the contemporary style and finish of our Coach Houses from the Boutique style of hotel that we like to stay in and added lots of little extra touches to make our guests feel special. However we have deliberately kept some of the original features of the old building to maintain the unique character of the Coach Houses. Above all else we wanted to make the Coach Houses an inviting place for you to relax and unwind in. 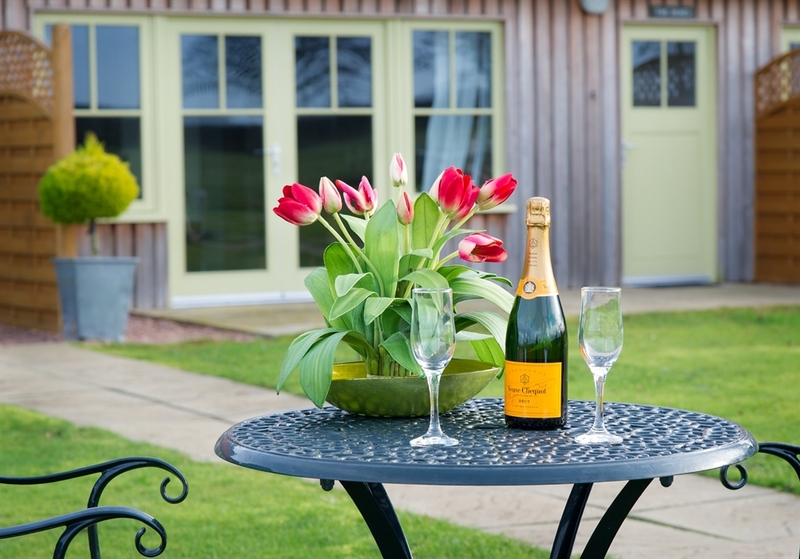 The cottages are very comfortably furnished and each one has its own private patio with garden furniture so you can savour the peace and quiet and appreciate the stunning views over the fields. Also sometimes a pheasant or partridge will meander past. 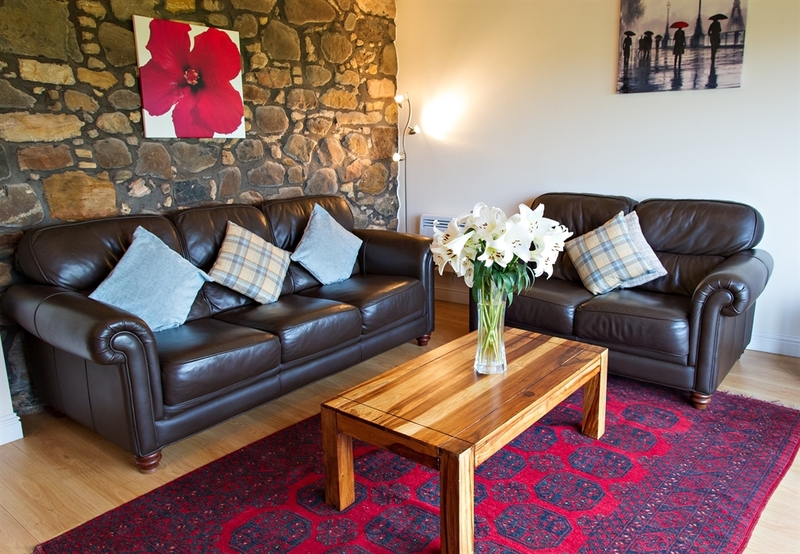 All three cottages are wheelchair accessible with a bedroom and bathroom on the ground floor. 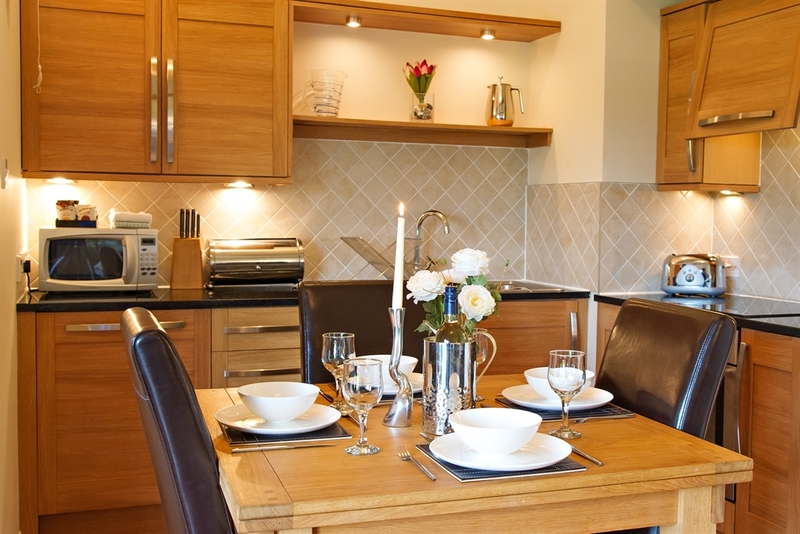 We do not however have specific disabled facilities within each cottage . For more information please call. Priory Lodge is all on one level. Fancy blowing of some steam dashing through a bale tunnel or challenging your nearest and dearest to a game of ping pong? Then you have come to the right place. 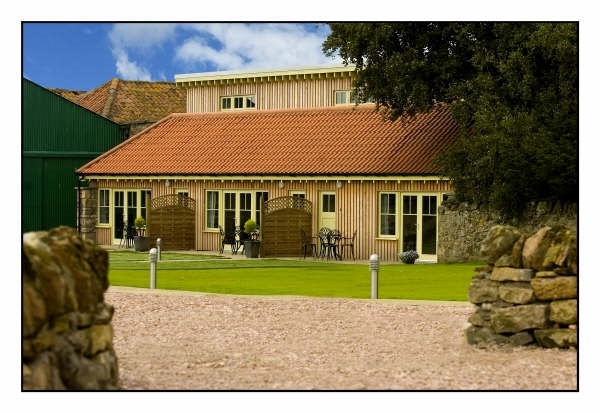 We have a large Activity Barn for our guests’ use adjacent to the Coach Houses. This has been a huge success keeping guests and their children entertained for hours, especially when the weather is wet. 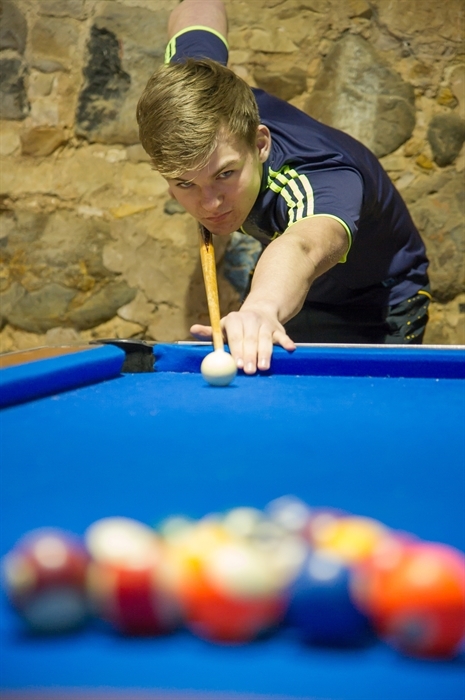 The Barn has a full size pool table, table tennis table, basket ball net, table football, darts board, mini badminton court, children’s climbing frame with slide and bark play area with a bale tunnel and bales to clamber on. There are also some push along toys including a cosy coupé car and small tractor for our younger guests to enjoy. The large lawn outside all three Coach Houses is a fantastic place for a run around or to play a relaxing game of croquet on. 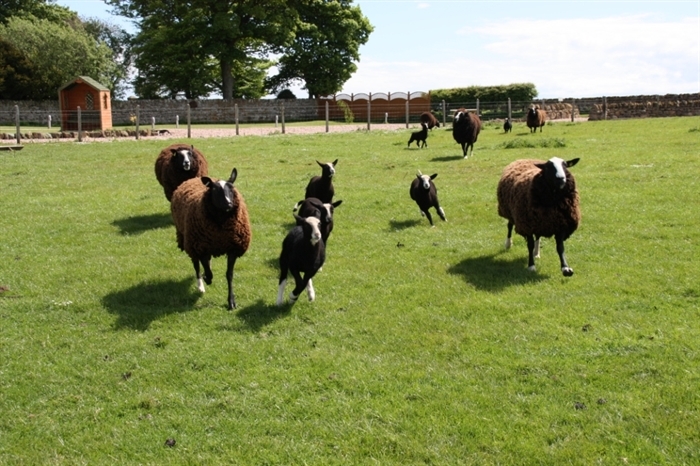 Also our guests with babies have found this area ideal as baby can be playing on a rug on the lawn while the older children can be playing football on the lawn. 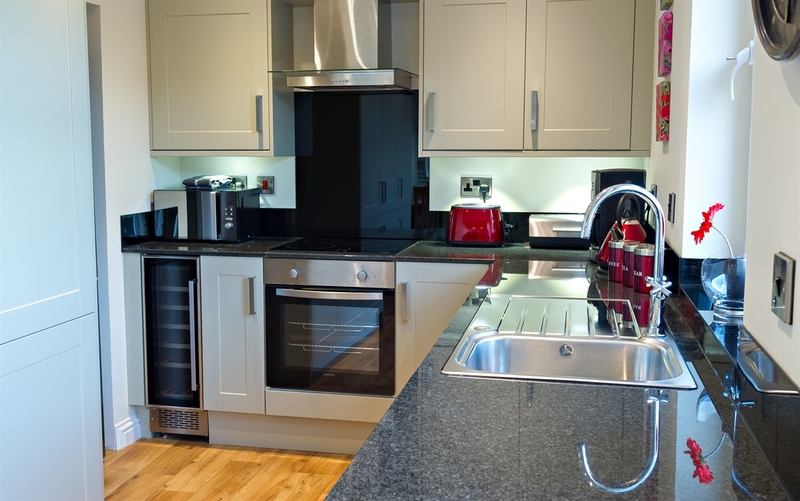 All three properties comprise a ground and first floor with a bedroom and bathroom on each floor. 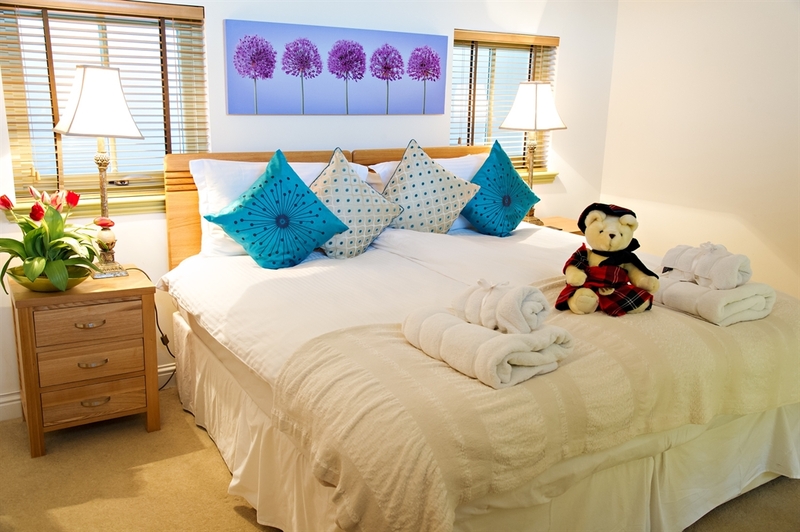 Each property has a Freeview TV and DVD downstairs and a Freeview TV with integrated DVD player in the upstairs bedroom. 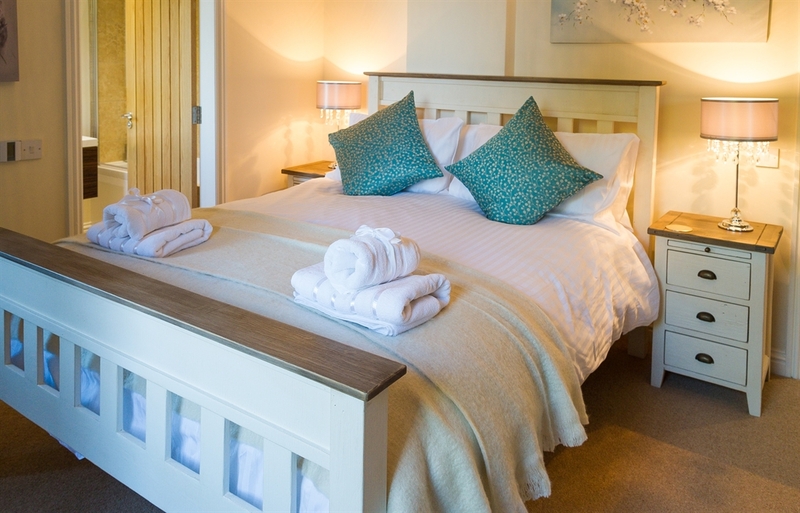 For the comfort of our guests all living areas have comfortable leather sofas and the bedrooms all have top quality beds with the upper floor bedrooms having pocket sprung beds combined with memory foam for added luxury. Each of the three properties have a bright entrance hall leading to a spacious living/dining area with vaulted ceiling, the living area has comfy leather sofas, Freeview TV, DVD and I Pod docking station, the dining area has patio doors which open onto your own private terrace with table and chairs, modern well equipped open plan kitchen with ceramic hob,oven,microwave,dishwasher and granite worktops, twin bedroom with large walk in wardrobe, hall and modern bathroom with large walk in shower. Upstairs there is spacious twin bedroom (which can be made up as a super king on request) walk in wardrobe, modern en suite bathroom with shower over the bath and TV with integral DVD player. There a private secluded patio to the rear with a six-person outdoor hot tub, which you don’t have to share with anyone other than your friends or family! Situated approximately 70 metres beyond the existing Coach Houses, Priory Lodge has the same spectacular views, but as it sits on its own, it offers even more privacy and seclusion.